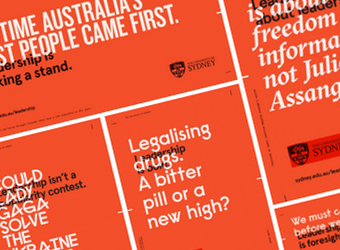 A campaign for the University of Sydney launched last week to start a conversation about leadership by posing thought-provoking questions. To some extent, it seems to have worked. 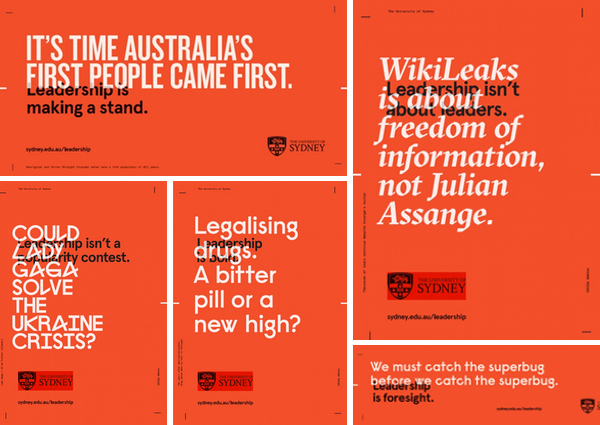 Campaign creative includes the below pictured selection of thought-provoking questions and profound statements, such as ‘Could Lady Gaga solve the Ukraine crisis?’ and ‘We Must Catch the Superbug before we Catch the Superbug’. Created by The Monkeys and Maud, the campaign relaunches the university’s brand via a complete overhaul of its visual identity and a series of outdoor, press, social and event activations, that will set the tone for the university’s brand communications going forward. 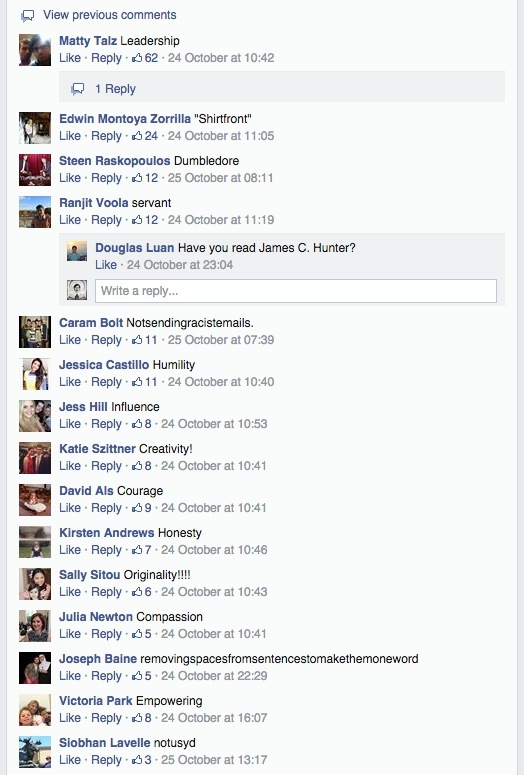 Along with the half-dozen serious replies, there were just as many Twitter and Facebook users who took the opportunity to have a crack about the controversy surrounding emails sent by the now-suspended Professor Barry Spurr. 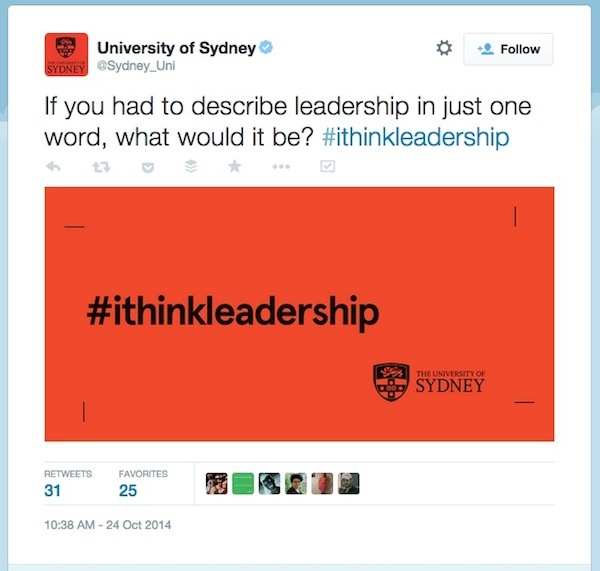 A couple mentioned Tony, a couple mentioned the University of Melbourne, others simply found the question – a standard Twitter campaign practice – slightly meaningless and took the opportunity to indicate through retorts of varying sarcasm. In fact, the very first reply on Twitter and the most popular reply on Facebook, picked up that a one-word description of a concept is generally the same word as said concept’s name. So to Mr Lewis we say… congratulations?